The entrepreneurial journey is not an easy one, especially towards the F&B ownership. Lots of things must be put into consideration, and just coming up with a viable strategy is no longer enough. Learn about the F&B industry in MasterClass’ session, as part of the Foodpreneurs series. 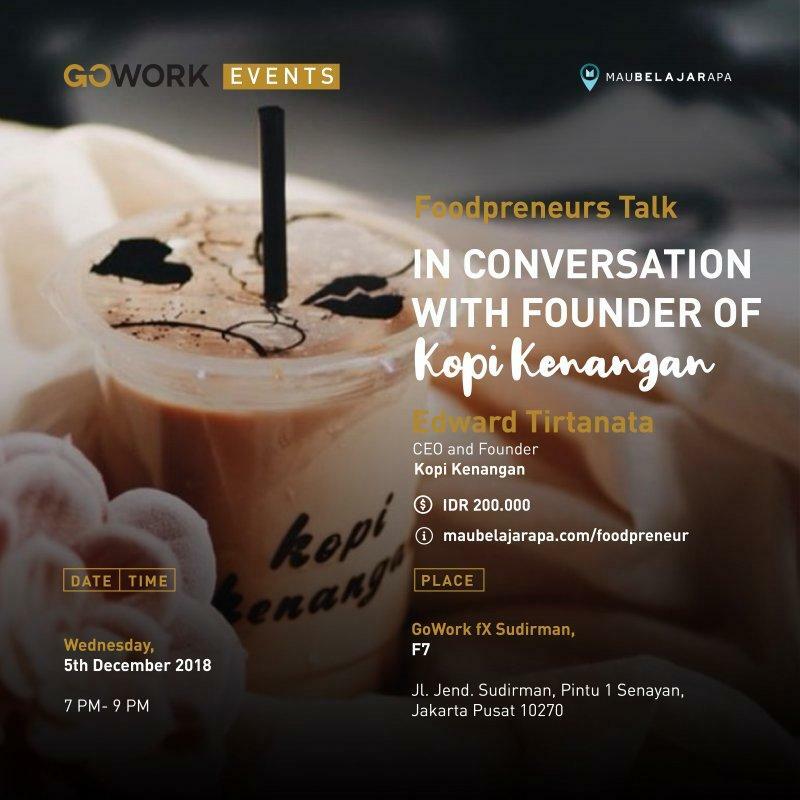 Share with the Founder & CEO of Kopi Kenangan, Edward Tirtanata about the journey in building businesses that matters. Learn how to stand out in today's highly saturated market, and how to get your business funded.